In the 21st century, it’s no longer optional to have a blog. All authors need to have a blog to promote their books. Before we go any further, let me expand on that a little bit. Every authors needs to have an active and relevant blog. That means there should be fresh and interesting content on the blog at least 2 – 4 times a week. Originally a blog was simply a way to communicate with friends. Four or five years ago I started a “blog” to post a novel I was working on and to share it with friends. Today blogs are a great way for authors to build a brand and establish a promotional platform for their books. You can use a blog to help potential readers get to know the author behind the book and to learn more about the books you write. Non-fiction authors can use a blog to share their writing style and it is a great way to build your credibility when you write about the topics in your books. Think of it as a cyber sales person who is representing you 24 hours a day, 7 days a week. What does your cyber salesman say about you and your books? To get started, you can easily set up a free blog on www.blogger.com or www.wordpress.com, each of these services offer free blogs. You click to “join” and the website is set up in a way that makes it very easy to set up a simple blog. Follow the directions and you can start blogging in minutes. Over time you can learn ways to fine tune your blog and to customize the layout or you can hire someone to set up a blog and to teach you the best ways to use that blog to promote. For authors who are less tech savvy, Blogger is very easy to use. For authors who have more computer and internet experience, WordPress is a great free platform. Each of these sites gives you a blogspot.com or wordpress.com address, but for $10 on Blogger and $14.95 on WordPress, you can chose your own domain name to use. How to use a blog? A blog can include information about your writing, how you write, how you develop story ideas and why you’re qualified to write your books. Non-fiction authors can use their blog to build their credibility with potential readers. Take the opportunity to show people that you have something beneficial to share. You can also show that you have the background and knowledge to help them. Fiction authors can share insider details about their books, the characters, the setting and many other parts of their books. You can also share writing and promotional tips with others. These are just a few of the unlimited number of ways you can use a blog to promote yourself and your books. Just starting a blog is not enough. Once you have a blog and once you start blogging on a regular basis (at least 2-3 short or long blog posts per week), you need to list your blog in blog directories. Two or the many directories include: www.blogcatalog.com and www.Technorati.com . Go to both of these sites and register for an account. Once you have an account, you can submit your blog(s) to the directory. This is a great way to help more people find your blog. Think of these like a “Google” for blogs. Your blog address should be listed on your author business cards, linked to your website, included on your social media profiles, included anywhere your author bio is posted and listed in your email signature block. These are a bare minimum of the places where you should list your blog address. It is also very good to register your blog with www.feedblitz.com or www.feedburner.com and place a subscription block so that interested readers can subscribe to your blog. This means that your subscribers will be notified about each of your future blog posts. It’s a great way to stay in touch with interested readers. These tips are just the beginning of your blogging journey. But it is a promotional journey that you need to take – you and your publisher will be happy that you did. Mary Flanagan, caught between her sense of religion and obligation on one hand and her very human desire for love and life on the other, is in emotional limbo. When she meets Arnie Berger, who becomes both her lover and philosophic guide, Mary’s world seems to be transformed. Changes also come for Mary’s children, who have been trapped in their own dilemmas. Sean, a quadriplegic, is looking for a fulfilled life. Mary’s daughter, Kathleen must cope with infertility and anger in her search for happiness. The lives of all three Flanagans are turned upside down by happiness and tragedy. women trying to decide what to do with their lives. people who like to experience emotions and think about life’s meaning. A New Englander by upbringing and inclination, Ken Weene’s career – primarily in New York – included teaching, pastoral care, and psychology. Throughout his career Ken has also been devoted to writing. His poetry has appeared in a number of publications – both print and web. He authored a number of professional publications. His short stories and essays have also been published. One of his short plays was recently workshopped. An anthology of Ken’s work, Songs For My Father, was published 2002. 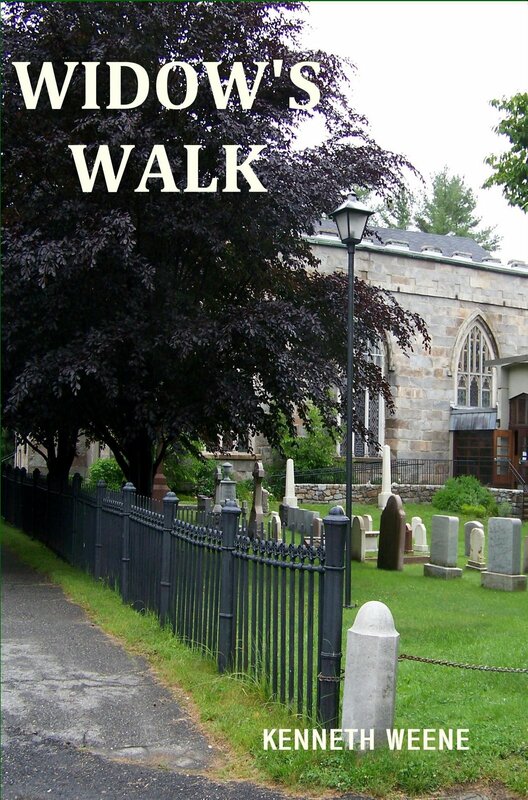 His novel, Widow’s Walk, has been published in 2009. 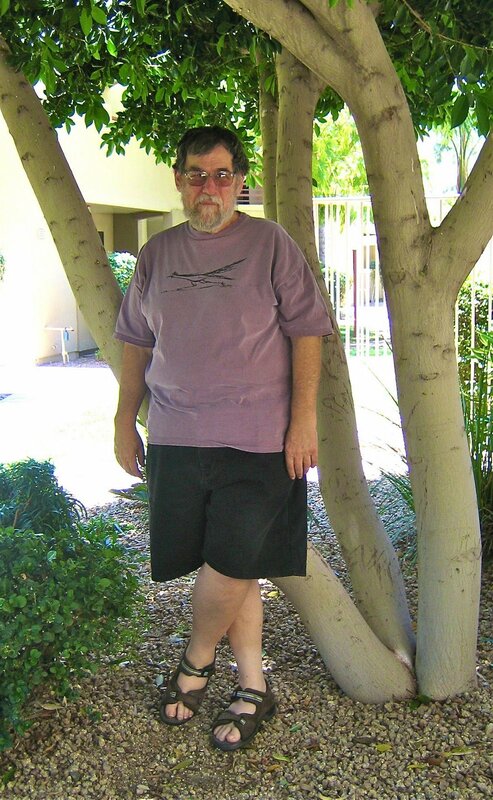 Ken and his wife, Roz, now live in greater Phoenix where he spends much of his time writing. Author MaAnna Stephenson shares insights on the benefits of blogging and RSS feeds for authors as she stops by Marketing Tips for Authors http://blog.marketingtipsforauthors.com/2009/07/blogs-and-rss-feeds-just-faqs-blog-tour.html. MaAnna Stephenson, author of the Just the FAQs ebook series, draws from her experience which includes two decades of technical writing, web design and marketing. If you like what you learn through this interview you can fine more information in her user-friendly guides related to the technical aspects of internet marketing and promotions. When you visit MaAnna’s tour stop at Marketing Tips for Authors, leave a comment and you’ll be entered in a random drawing for two free Just the FAQs classes http://www.justthefaqs.net/classes.shtml . Not only that, but every commenter is a winner and will have the opportunity to receive a copy of MaAnna Stephenson’s e-book the Quick Step Guide. If you haven’t already read her books, be sure to pick up the series at http://www.justthefaqs.net/ebooks.shtml. Every day has exactly 1,440 minutes in it. Whether you work for a Fortune 500 company, run your own small business or are an independent freelancer, the way you spend those minutes helps or hinders the goals you want to achieve. Nicolas Soergel, author of the new book Happy About An Extra Hour Everyday (Happy About, 2009) says anyone can create extra time in their life by increasing their efficiency. “If you can save one minute, 60 times a day, you can gain the extra hour needed to make your dreams happen,” says Soergel. 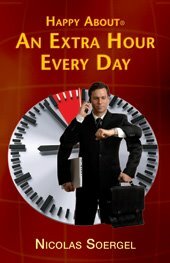 Throughout Happy About An Extra Hour Everyday the author offers easy to implement, time saving tips that he terms “quick wins”. Nicolas Soergel, was born in Germany in 1969. After completing his studies in business administration at the University of Cologne, he began his career in finance with Sony. Soergel later played a major role in setting up the German, Austrian and Swiss operations of the British vacuum cleaner manufacturer Dyson. In 2000, Nicolas moved to Japan where at the age of 34 he became CEO of the Japanese subsidiary of T-Systems – a Deutsche Telekom group company. 3 years later he took over responsibility for the APAC region.